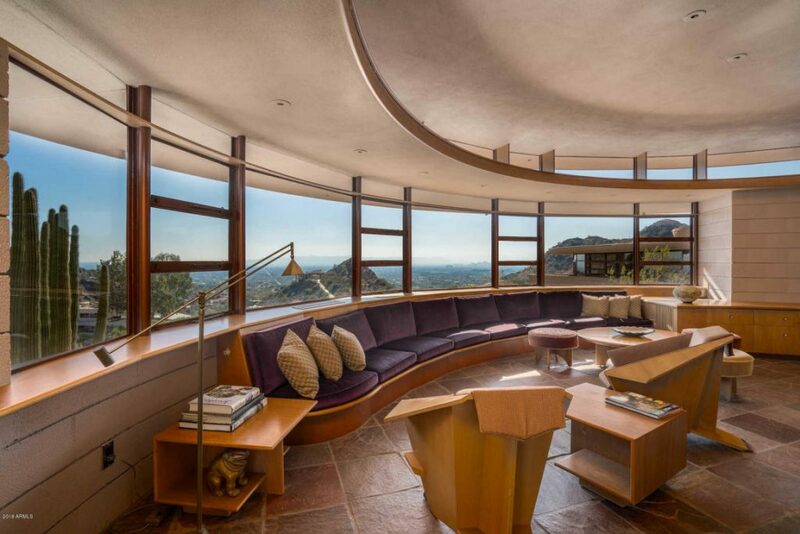 Ringing in at $3.25M, this funky desert design is a unique display of Frank Lloyd Wright’s talents. As if that’s not enough, the home sits among the hills of Phoenix—granting it breathtaking views of the ruggedly beautiful desert landscape. Did we mention that it was also his final home design? “A series of concentric circles set on a desert plateau, the home, which looks like a set of intricate clock gears from above, shows Wright’s mastery of organic design that references the landscape,” writes Patrick Sisson in a CURBED article. Wright’s apprentice, John Rattenbury oversaw the completion of the project following Wright’s passing in 1959. 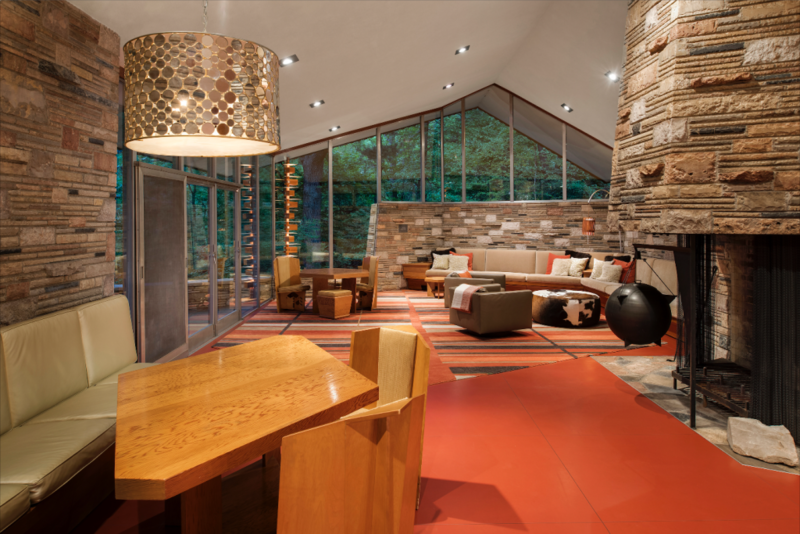 You could be the third owner of this Frank Llyod Wright masterpiece—if you have $3.4M. 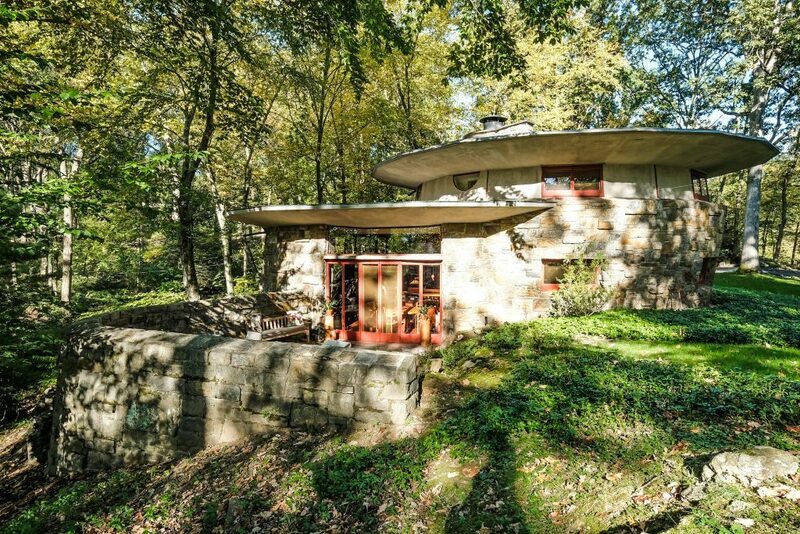 Comparatively, this stunning home is a steal at only $1.5M. As if its pedigree and the idyllic wooded setting isn’t enough, according to CURBED, “An interior highlight is the circular great room, which has a stone fireplace and a library mezzanine above. 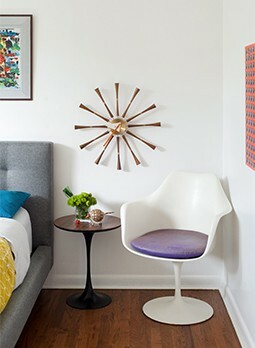 A spiral wooden staircase leads upstairs to the bedrooms.” We also shared this house here.